Commonly known as air plants, the genus tillandsia has around 650 species of evergreen, perennial flowering plants. They are native to the forests, mountains, and deserts of the southeastern United States to northern South America. Their leaves, more or less silvery in color, are covered with specialized cells capable of rapidly absorbing ambient humidity. Their ability to cling to life wherever conditions permit: telephone wires, tree branches, bare rocks, etc. makes them the perfect candidate as a low-maintenance houseplant. 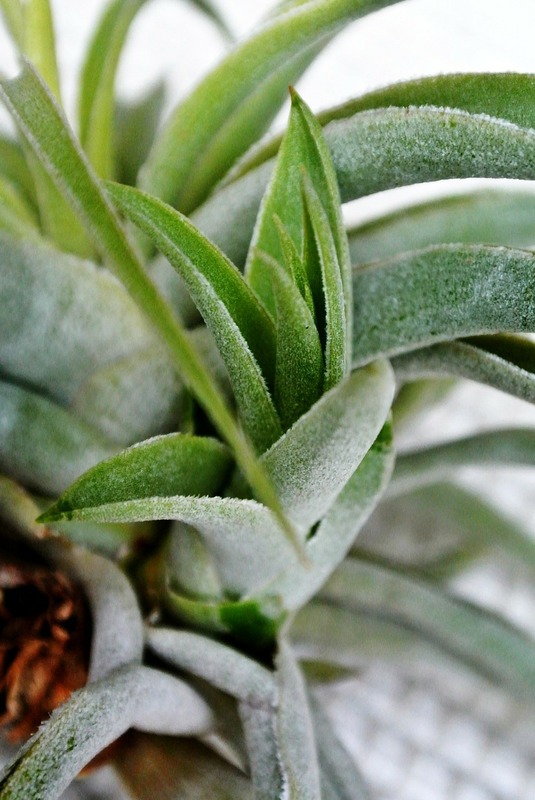 While they are one of the easiest houseplants to grow, there are some point to consider. For starters, as the name implies, they don’t even need soil! They absorb water and nutrients through those special cells on their leaves. However, just like succulents and orchids, they do need some water … especially during the dry winter months. Is your air plant turning brown? Yep. It needs water. This is easy. Just submerge the entire air plant in water for a few hours once a week. Then gently shake off excess water and let them air dry. Another option is to mist them periodically with a misting bottle if they are in particularly dry air. When it comes to light, they prefer bright, but indirect, sunlight. Somewhere in a south-facing room will suffice. They require a bit more light than the ZZ plant. Growing a plant without soil means that its only source of nutrients will be from the water you dunk it in. Use a fertilizer mix for bromeliads (air plants are in the bromeliad family). Just don’t overdo it. It can be easy to burn them since they lack soil to act as a buffer. I recommend diluting the fertilizer to at least half the recommended concentration. Finally is air. Air plants need good air circulation. Sometimes I see them on display trapped in a terrarium. While this might look all hipster chic, it’s inviting wet, stagnant conditions that is the perfect environment for fungal growth and a sick air plant. Let the little dude breathe! Species of Tillandsia photosynthesize through a process called CAM cycle, where they close their stomata during the day to prevent water loss and open them at night to fix carbon dioxide and release oxygen. This allows them to preserve water, necessary because they are epiphytes. They do not have a functional root system and instead absorb water in small amounts through their leaves via small structures called trichomes. Species of Tillandsia also absorb their nutrients from debris and dust in the air. Any root system found on Tillandsia has grown to act as a fragile stabilizing scaffold to grip the surface they grow on. As soon as they have been soaked with water, the green assimilation tissue below the suction scales becomes visible again, the plant is therefore "greened". Now the plant can absorb more light. When the sun dries the plants, they turn white. Thanks to this special survival trick, plants without roots can absorb fog droplets as well as rainwater and thus cover their water needs. Images via Pixabay. All images are licensed under a CC0 1.0 Universal (CC0 1.0) Public Domain Dedication.